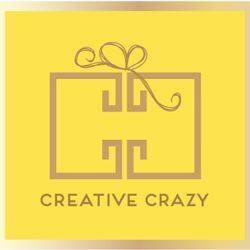 Wrap your gifts in the Watercolour Gift Wrap from Creative Crazy and your friends and family will delight in the presentation of their gifts as much as the item within. This gift wrap has a traditional feel, but with a shiny finish that gives it a modern update. Let the bold pattern stand on its own, or pair with a simple or fancy ribbon for your own customized look. Set of 2 Sheets. Dimension : 20" x 28"